The Staywired Electrical team specialise in the supply, installation and maintenance for all your electrical and lighting requirements. Staywired Electrical will provide the best electrician Castle Hill has available, with both residential and commercial electrical experience. Finding the most capable electrician Castle Hill has available can be a difficult task. With so many electrical contractors wanting your business, this can leave you asking if they the right electrician for you? By choosing Staywired Electrical, you can be assured that our years of experience gives you the right advice and workmanship. 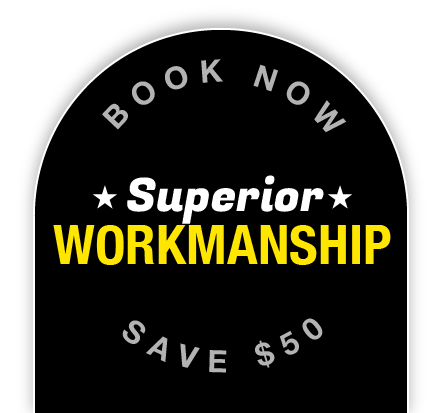 Whether you are a home owner, renovator, builder or commercial business, we provide the attention to detail that customers want. For an electrical emergency, our Castle Hill electrician provides a convenient 24-hour emergency service, 7 days a week. Our team has a great reputation for reliability and quality workmanship. All of our products, installations and maintenance are carried out by our fully qualified team. When you need the most experienced electrician Castle Hill has available, Staywired Electrical is you number one choice. Electrician Castle Hill – Why choose us? 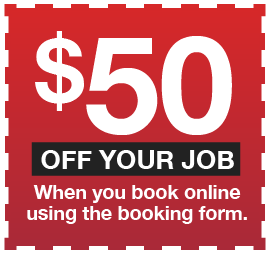 Remove the hassle of waiting around for a Sydney Electrician. That’s because one of our electrician Castle Hill team can be at your home or business in record time. As a well-established electrical firm, we are able to offer a comprehensive range of products and services. Our electrician Castle Hill team has extensive experience in both indoor and outdoor electrical installations. This includes security, safety, lighting and home entertainment applications. You’ll be confident in knowing that Staywired Electrical can provide a vast range of common, residential electrical services. Whether you need lights, dimmer switches, down lights or garden lighting installed in your home or ceiling fans, switches or that brand new set of hot plates or stove fitted in your kitchen, Staywired have a professional Castle Hill electrician team that will provide you with top quality service each and every time. If its safety you’re after, we can provide you with a full range of safety switches and surge protection to guard your home and family against electrical accidents and damage to home appliances. Our Castle Hill electrician is also able to install hot water systems, bathroom heat exhaust fan systems, switchboard upgrades and mains upgrades, power outlets, audio visual systems and intercom systems. Staywired Electrical can provide your business with fully qualified commercial electrician Castle Hill services which include electrical fit-outs, installation of electrical essentials including lighting, switchboards, smartboards, power points and audio visual. Our Castle Hill electrician team also provide a full range of commercial electrical safety services including electrical safety inspection, safety switch installation and testing, fitting of smoke alarms and electrical fault finding. We provide fast and efficient service for electrical maintenance of emergency lighting, switchboard maintenance and replacement, cable installation and repairs for both telephone and data and installation of data racks, patch panels and data points. Thank you Staywired for your service. I was experiencing power surges daily for quite sometime and Staywired thoroughly covered every area that could be trigging the problem. Power points changed and old wires renewed. problem resolved same day service. I have no hesitation in recommending them. Love the way they clean up behind them and replaced material using only reliable and warranted products. We are an Insurance Builder that have been using the team at Staywired for a few months now. We can honestly say the service they provide is second to none. Staywired have attended to multiple emergency jobs for us (both within and outside of regular business hours) and in each case have gone above and beyond to provide fantastic service. We have recieved nothing but positive feedback from our customers. Starting from Staywired’s office admin to the techs on the road, the entire team provide great communication and ensure we are always aware of the status of a job they are working on and provide reports and photographs within 24 hours of completing works. 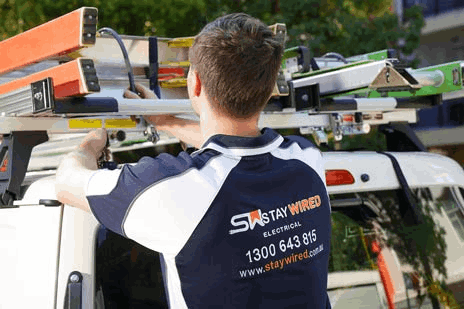 We have no hesitation in recommending the services of Staywired to anyone looking for qualified, professional and reliable electrical services. I’m so happy with StayWired, I received respect and honesty and that doesn’t happen often these days. They are very Efficient , 100% recommend them to anyone needing electrical work done.